Have you ever felt really excited when you had an “aha” moment of insight? I bet that virtually all readers of this blog have had that experience numbers of times. 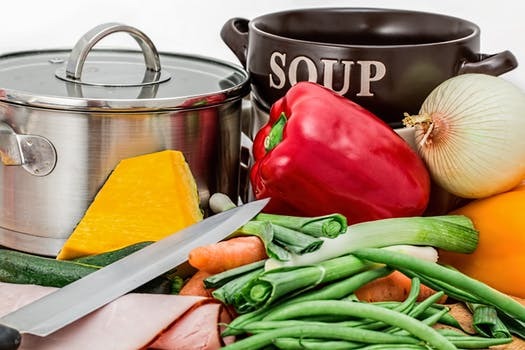 This post in the Stone Soup mini-course describes how Stone Soup assignments and activities can be a hoot, triggering lots of “aha” moments. Sometimes this can come from doing a simulation as part of a training, when you “get” the potential of something you had never considered before, which seems so much better than what you have been used to. Sometimes it comes from reading something that gives you a whole new understanding or expresses things you intuitively knew but didn’t know you knew. Sometimes it comes from gaining a new perspective from observing something or talking with someone. In any case, it is a wonderful feeling of enjoyment. Sometimes people get the joy of learning from activities in school. Unfortunately, sometimes school gets in the way of education, as Mark Twain said. Naturally, this brings law school to mind. Presumably most law professors enjoyed at least some parts of law school. Unfortunately, for many law students, law school is not fun. For some, it is a terrifying boot camp that breeds fear and cynicism. This is not good. Of course, some students do quite well in law school and many manage the stress ok. But all the negative experience can’t be generally necessary or helpful. Many faculty are humane and concerned about the well-being of their students. These faculty provide supportive learning experiences that students value and enjoy. I think that this generally describes most DR faculty, though we can’t change the overall structure that too many students find oppressive. One of the virtues of the Stone Soup assignments is that they generally give students joyful learning experiences. Of course, these assignments can’t change the overall atmosphere, but they are a move in the right direction. If students have multiple Stone Soup experiences in various law school courses, their cumulative experience could be greater than the sum of the individual ones. Although I don’t think of myself particularly as an empirical researcher, I have done a good number of studies, mostly using qualitative methods. I have gotten great pleasure from these studies, particularly doing the interviews and focus groups, and I am sure that you and your students can get this joy from learning too. While I have enjoyed learning in simulations, reading, talking with others, and observing them, some of the most fun learning that I have ever had has been doing interviews and focus groups. By the end of the process, I usually get pumped up and feel something like the famous “mediator’s high” after doing a good job mediating. What’s more, virtually all of my subjects have enjoyed the conversation too. They usually feel flattered just to be asked about themselves, their work, experience, and perspectives. Often, they learn things about themselves and their experiences that they hadn’t thought of. At the end, they usually thanked me, telling me how much they enjoyed the experience. Some people who said they didn’t have much time for the interview practically talked my ear off. From even our limited Stone Soup experience, we know that students generally get a great kick out of interviewing people. Doing the interviews is intrinsically interesting and students may particularly enjoy talking with experienced practitioners. Often, the practitioners are happy to act as mentors, remembering earlier times in their careers and wanting to share their experiences. Although you may require students to do only one interview for an assignment to limit the amount of work you ask them to do, you may encourage them to do more interviews than required. The interviews don’t take a lot of time and the assignment provides a reason for people to agree to be interviewed who otherwise would not do so. You may also want to do some interviews for your own scholarship. If you conduct, say, 10-20 interviews, this may involve a lot less time than some other scholarly work. Of course, you spend time outside the interviews, planning the interviews and analyzing the data. But it still need not be overly time-consuming and you are almost certain to develop new insights because you control the questions, including the opportunity to ask probing follow-up questions. Doing the interviews is a blast – and why should the students get all the fun? You might want to collaborate with colleagues to do interviews, which obviously can divide the workload. It also enables you to bounce ideas off each other. Indeed, you might want to collaborate with academics in other countries or disciplines or with practitioners. I recently did a study with Peter Benner, a dispute resolution practitioner, and I think our work benefited from having both perspectives in analyzing the issues. To conduct interviews for research, you would need to get approval from the institutional review board at your university (or comparable body in countries outside the US), but that usually is quite manageable. Some colleagues have had difficult experiences with their IRBs, which obviously is frustrating. In a later post, I will give some suggestions about how you might minimize hassles when you deal with your IRB. But in the next post, I describe some studies I have done to illustrate that, you can respond to the inevitable question, What Me–A Social Scientist?, with an emphatic “yes.” As you will see, some of my studies were for scholarship and others were for practical application and they varied in level of sophistication. I am loving “retirement.” Still teaching Mindfulness with Len and on my own, am on the Board of the Baltimore City Community Mediation Center, have a project in Cambodia with MBB, am deepening relationships, traveling and having fun. Warmest wishes to you for fulfillment and joy. Thanks for your kind words, Rachel. So you’re enjoying your so-called retirement too, eh? That’s wonderful. I think that retirement shouldn’t mean that one doesn’t do anything — it’s that you get to choose what you do (and don’t) want to do. In my next post, I will describe some qualitative research projects I worked on, including research for the ABA Section of Dispute Resolution’s Task Force on Improving Mediation Quality, which you co-chaired with Wayne Thorpe. You may have seen this article in the New York Times, focusing on the drug overdose of a lawyer. It includes the following discussion of the effects of law school. “In addition, he said, law students generally start school with their sense of self and their values intact. But, in his research, he said, he has found that the formal structure of law school starts to change that. “Rather than hew to their internal self, students begin to focus on external values, he said, like status, comparative worth and competition. “We have seven very strong studies that show this twists people’s psyches and they come out of law school significantly impaired, with depression, anxiety and hostility,” he said. “Academics often study law students because students are considered a bellwether for the profession. “They are the canaries in the coal mine,” Dr. Benjamin said. “After students began law school they experienced “a marked increase in depression, negative mood and physical symptoms, with corresponding decreases in positive affect and life satisfaction,” the professors wrote.